The problem with this game is that the top gang is ran by the admins, so if you attack or insult them you get banned. Amazing game, in need of new active players, try it out! 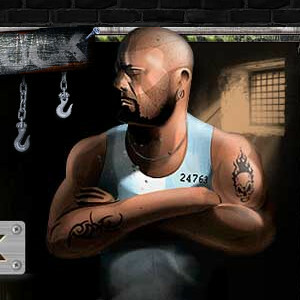 This Game is amazing, the Gang concept has exploded and their are so many Gangs throughout the Prisons, San Quentin Prison is one level just to name Drop, The Creation of and Avatar makes you become an Individual in Prison and in Prison Respect is everything , take it by force or by force but let your Name Ring Bells inside these Jail Walls Anabisi is just one monster to watch out for try this game ! Like the cell idea in it, and the design is good. But leveling takes forever. Would expect more activity out of a game this high up, not many people on.